This has been debunked already in 2012 by Phil Plait aka @BadAstronomer, but it just keeps coming back. 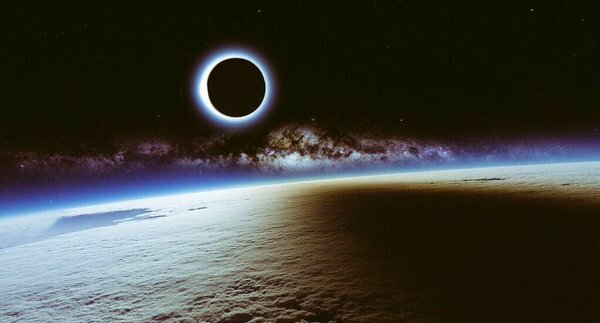 The following photo is often shared with a caption: A solar eclipse and the Milky Way seen from the International Space Station. That is actually digital art by a Japanese artist called A4size-ska on DeviantArt. The picture was created using software called Terragen 2. Here is the original debunk by Phil Plait.